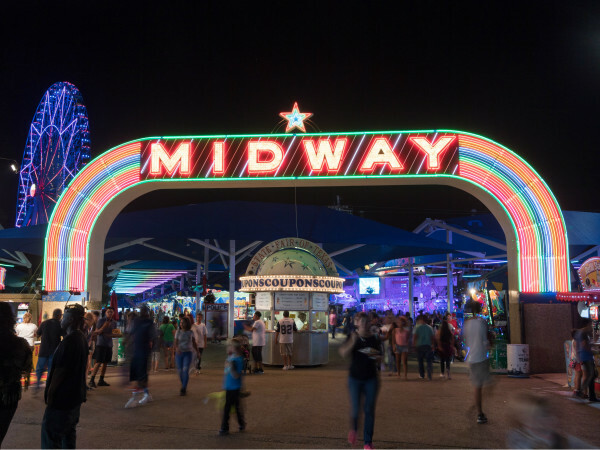 With less than a fortnight to go until the September 28 opening day arrives, the 2018 State Fair of Texas has unveiled a new round of fried food treats. 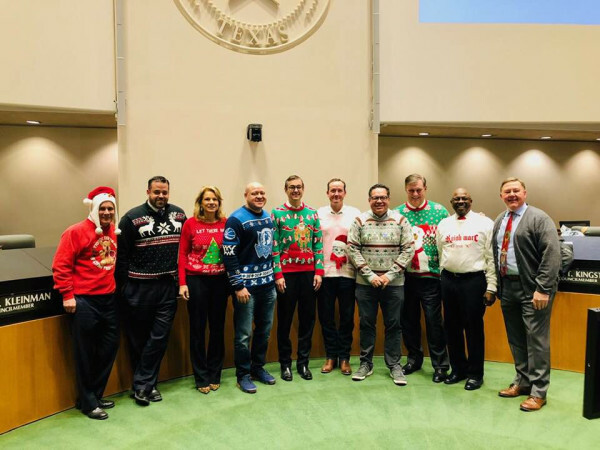 This follows the 2018 Big Tex Choice Awards, in which 10 finalists competed and three winners — cotton candy taco, Fernie's hoppin' john cake, and arroz con leche — were crowned on August 26. This round consists primarily of the competition's semifinalists, who did not make it to the awards but who have decided to bravely add their creations to their menu. To be honest, they're not all fried. Five are innovative drinks, four containing alcohol. A very positive trend. These creations give you the opportunity not only to try some tempting new fare, but also to second-guess the secret panel of judges who determined the 10 finalists. It was their decision to advance, say, funnel cake ice cream over some of these possibly superior items. Judge the judges. So here it is, another list of items you can eat and drink at this year's State Fair of Texas. They really ought to change the whole thing to "State Food Fair of Texas." That way, they could get rid of the outdated animal/agricultural stuff. For where to find these at the fair, along with the full list of this year's new foods, visit BigTex.com/new-food. Corn Dog Ale. Corn Dog Ale is an amber ale brewed with a blend of Pale 2-Row barleys, caramel malt, and smoked malt. A proprietary blend of eight herbs and spices are added to the brew kettle. 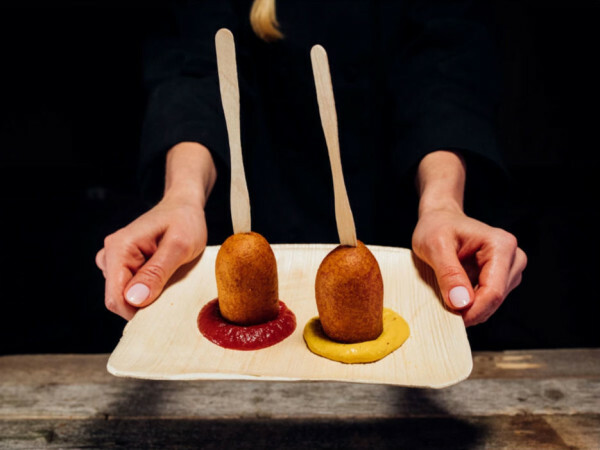 The combination of subtle smokiness and spices are said to evoke the flavor and aroma of a corn dog. It is recommended that the beer be served with yellow mustard, although how you do that remains to be seen. Orange Julia's Beermosa. This creamy frozen cocktail is a play on that ice cream truck classic the Creamsicle bar. It contains champagne that's flavored with orange Pixy Stix; Blue Moon beer; and vanilla ice cream. It's served in a Pixy Stix-rimmed cup with a large Pixy Stix plastic straw - oh boo, didn't Pixy Stix used to be paper? Fried Cup of Corn Elotes. What happens when traditional elotes meets sweet Southern corn in a flaky pastry? A creamy blend of corn, Mexican cheeses, and seasonings are spooned into a flaky pastry and fried, then embellished with Mexican cheeses - more cheese, please - and served with a creamy corn dip. Supra Stuffed Mini Sopapillas. Three mini sopapillas are injected with strawberry cream cheese filling, then dusted with cinnamon and sugar and drizzled with honey. King Crispy Coconut Crab Sliders. Whole softshell crabs are dipped in coconut batter and fried, then served on a King's Hawaiian bun with creamy Asian slaw that has a hint of wasabi. It comes with fried plantains, spicy Asian mustard, and sweet/sour sauce for dipping. Texas Thai Delight. Sticky rice is combined with coconut milk, mangos, and coconut, then rolled in batter and deep fried. It's served on a stick with a side of sweet sauce. Pico Frito (Deep Fried Pico de Gallo). 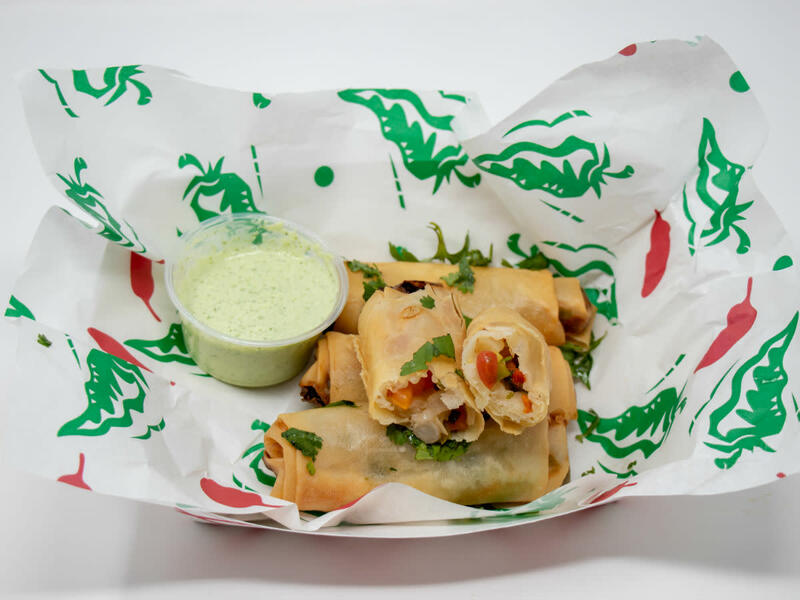 A zesty medley of tomato, cilantro, onion, and jalapeno is folded into an egg wrap paper and deep fried. Served with a side of savory cilantro sauce. Kool-Aid Pickle-Dilly Sangria. Refreshing adult beverage capitalizes on the hipster trend of pickle juice for a combination of sweet and salty with a fruity backbone. It contains pickle juice is infused with Fruit Punch-flavored Kool-Aid; white wine; lemon-lime soda; and fruit including pineapple, cherries, and blueberries. The garnish is a Kool-Aid pickle spear that's a beautiful ruby-red color. Southern Fried Chicken Nachos. Tortilla chips are covered with cheese, Ro-tel tomatoes, pico de gallo, and fried chicken tenders. Garnished with fresh cilantro. Fruity Dessert Nachos. Indulgent dessert starts with a bed of thin, crispy butter cookies, topped with fresh strawberries, blueberries, and bananas, and drizzled with crème anglaise, Ghirardelli chocolate sauce, and whipped cream. Bacon Brittle. Brittle is spiked with thick-cut bacon that's flavored with bourbon. Not only does it create a smoky, sweet, and salty flavor, it has a soft crunchy texture. Frosty's Frozen Hot Chocolate. Ghirardelli cocoa is mixed with milk, water, and ice and blended until "frosty.” Topped with whipped cream, chocolate sprinkles, and a marshmallow and cherry garnish. Cherish Erbert Champagne. This is a frozen cocktail with Pixy Stix sweet-and-sour cherry champagne sherbet and vanilla ice cream, sipped through a large Pixy Stix straw with powdered candy around the rim. Again with the Pixy Stix. Fletcher's Cheezy Pup. New to the Fletcher's Corny Dog lineup, the Cheezy Pup has a core of American soft melting cheese on a stick, dipped in Fletcher's famous batter and fried. A little smaller than their regular corny dogs.